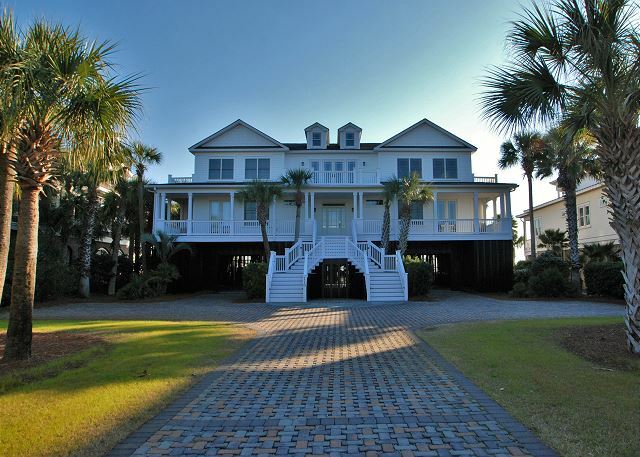 If you've ever dreamed of the perfect vacation in the perfect house, "Sun Beam" is your dream come true! 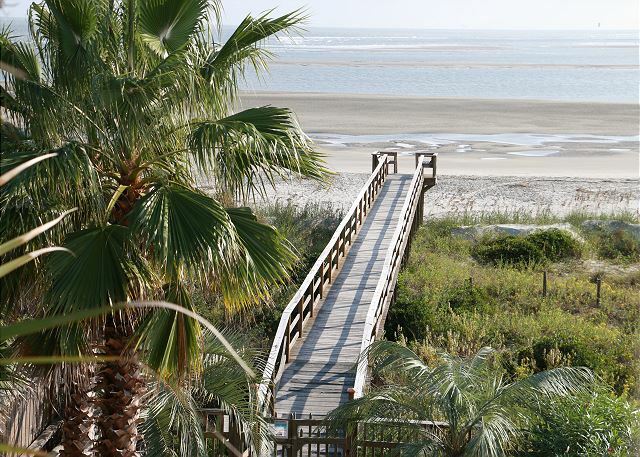 This 7,000sf oceanfront home is located on over an acre of land on the coveted south end of Isle of Palms which creates a true sense of privacy. 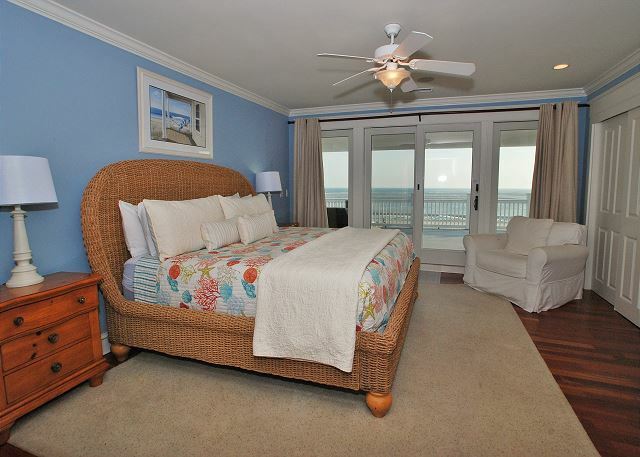 It comfortably sleeps 28 guests and has 10 bedrooms total with 5 being oceanfront. 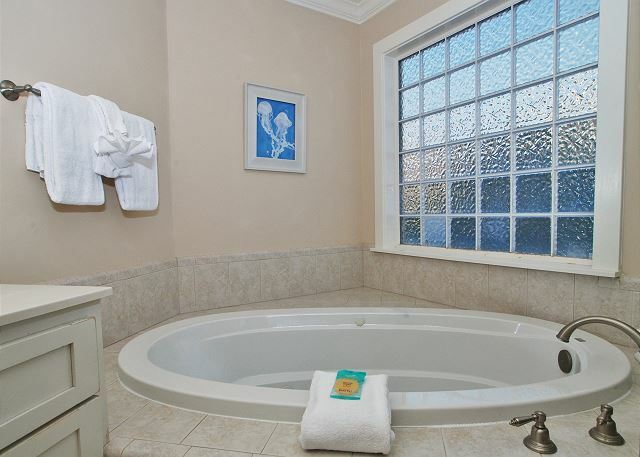 All bedrooms have en suite bathrooms to ensure comfort and luxury for all guests. 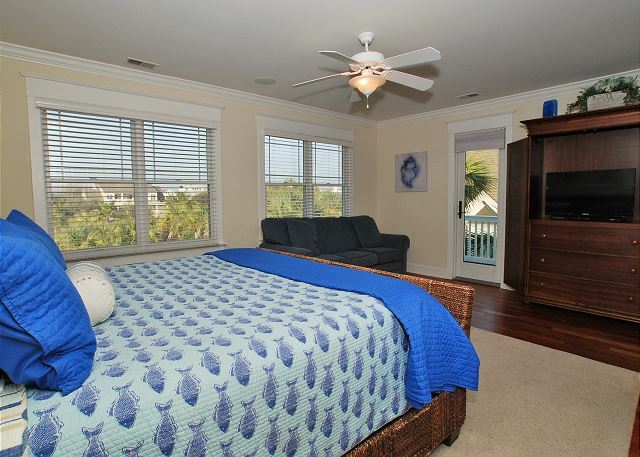 There are expansive decks on multiple levels of the home as well as a heated pool and private boardwalk to the beach. 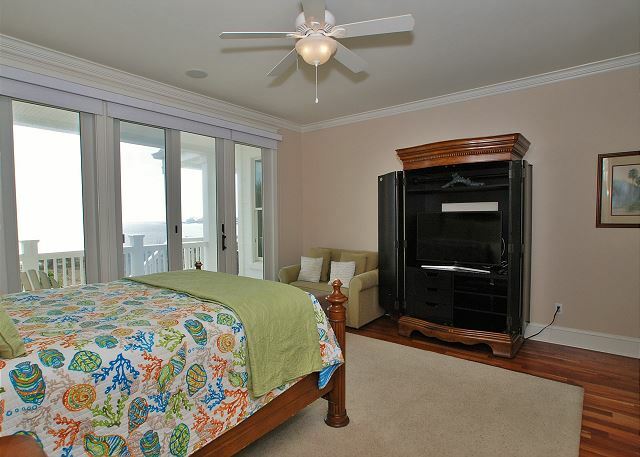 All areas of the home are easily accessible as an elevator services all levels. The first floor offers an expansive open and light-filled living area, dining areas and spacious kitchen all with panoramic ocean views. The kitchen is a gourmet's dream that includes granite counters, 2 GE Monogram stainless steel wall ovens, 2 Bosch dishwashers, Dacor 5-burner gas cook top, GE Monogram built-in stainless steel refrigerator, built-in microwave, ice maker and separate wine fridge. 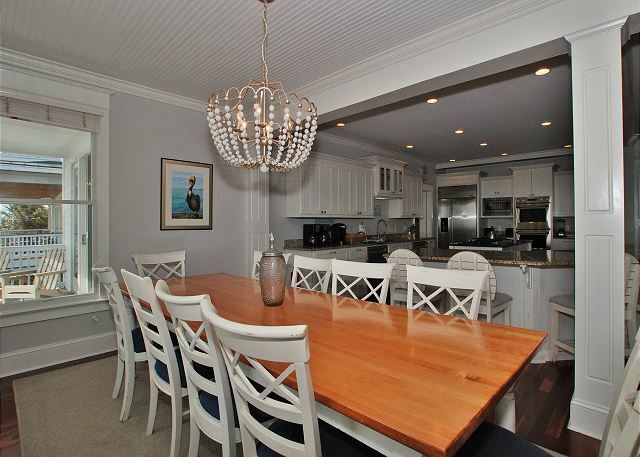 There are two large islands to ensure plenty of counter space as well as 6 counter stools. 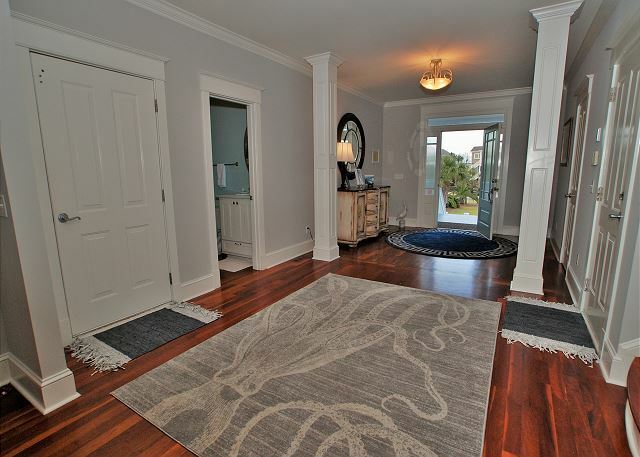 The main living area features 3 comfortable sofas and chairs, hardwood floors, gas fireplace, huge 75” flat panel smart TV, surround sound and a spectacular view of the ocean. 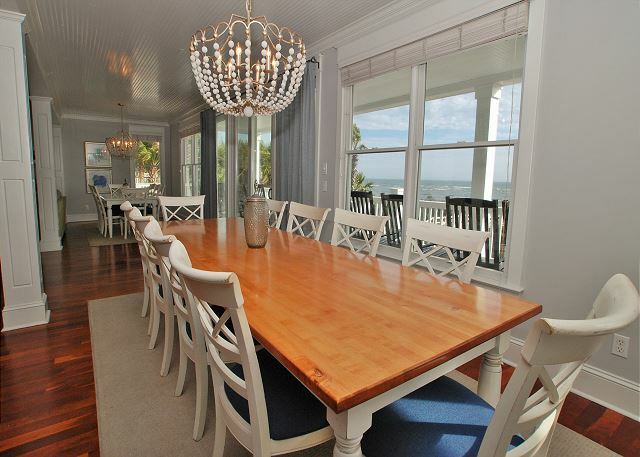 The dual dining areas feature two large tables, one with 10 chairs and the other with 8 chairs. 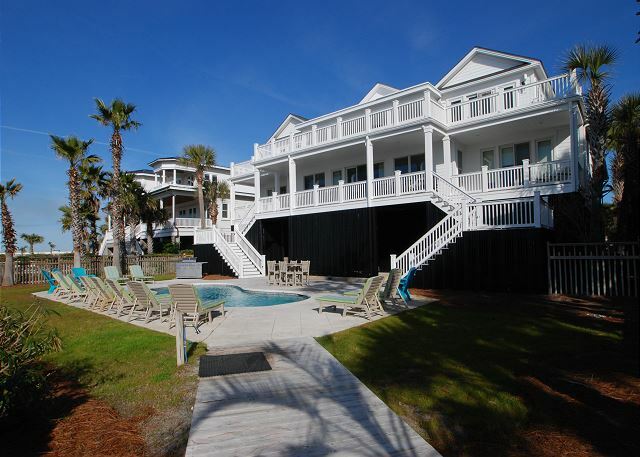 The large back deck has 12 rocking chairs and is a favorite spot to enjoy a sunset cocktail! 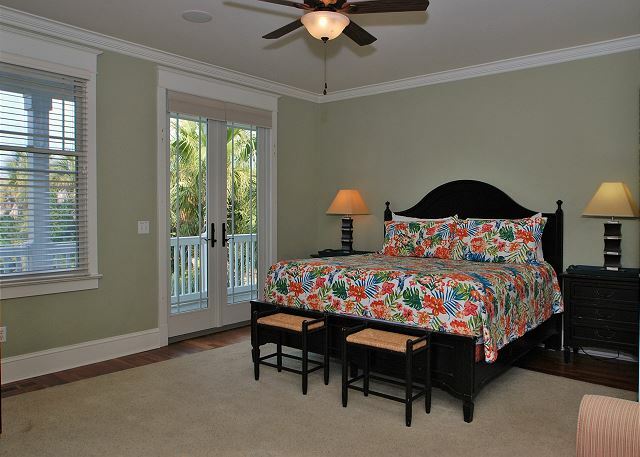 Six guest bedrooms are located on the first floor. 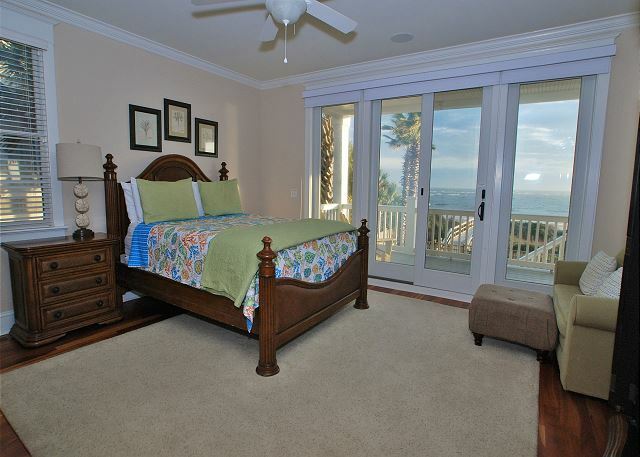 Two of these bedrooms feature fantastic ocean views! One has a king bed while the other has a queen bed. 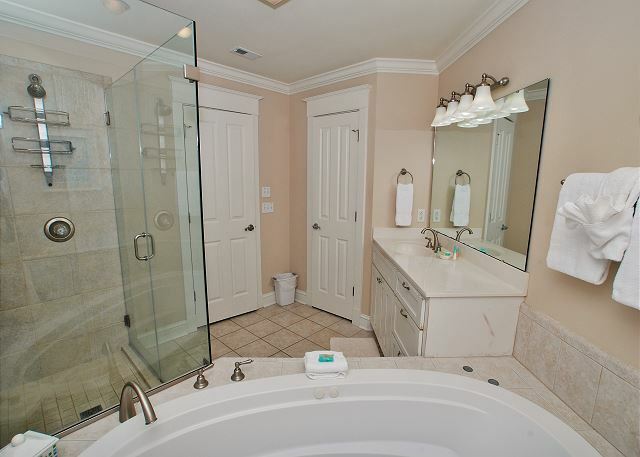 They both boast an additional twin pull out sleeper each and a private bath with a tiled jetted tub/shower combo. 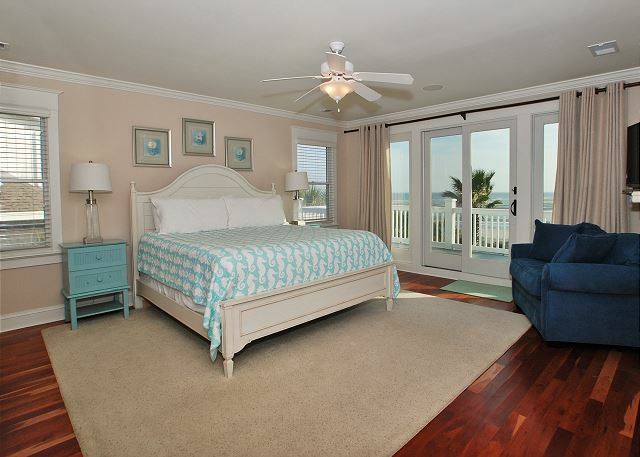 Each has a TV, wood floors and private access to the first floor ocean side porch which includes plenty of seating with chairs and rockers. 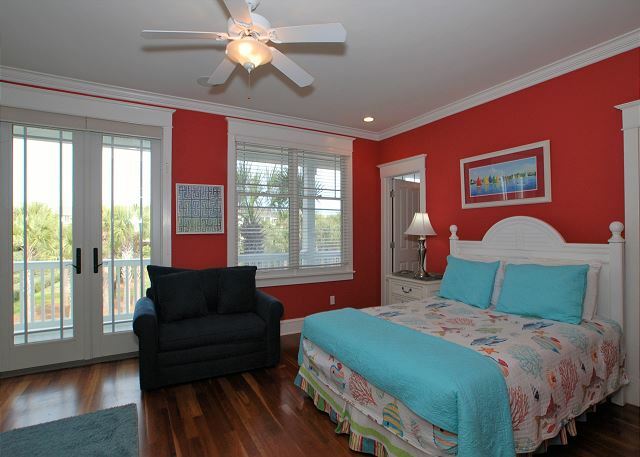 Two more guest bedrooms have a queen bed each, wood floors and private bathrooms with tiled tub/shower combos. 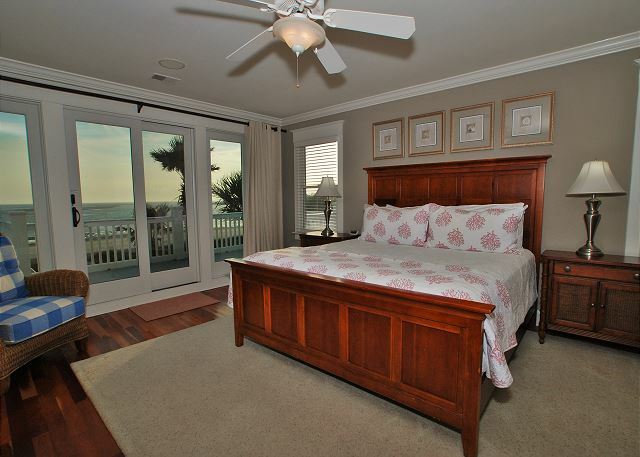 The last two guest bedrooms on this floor have one king bed and one queen bed respectively. 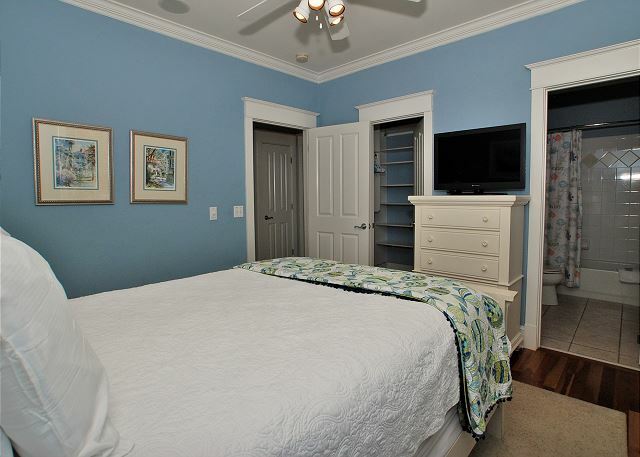 They both include a double size sleeper sofa, TV's, wood floors, private baths with tiled tub/shower combos and private access to the front facing covered porch. Also on the first floor is a large laundry room with full size GE Profile washer and dryer, utility sink and cabinets as well as a full size supplemental refrigerator. The second floor adds the convenience and benefit of a second large, separate living area with plenty of sofa and chair seating, game table with 6 chairs, large 60" flat panel TV, Blu Ray disc player, roku, books, puzzles, stereo, double sleeper sofa and access to 2 balconies. 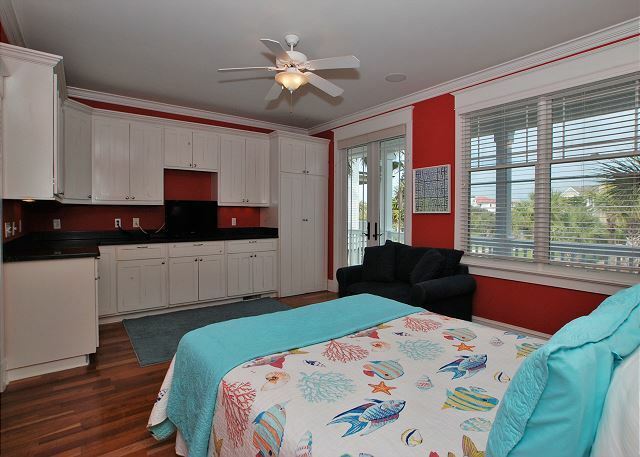 There is also a kitchenette with granite counter, microwave and full size refrigerator/freezer! 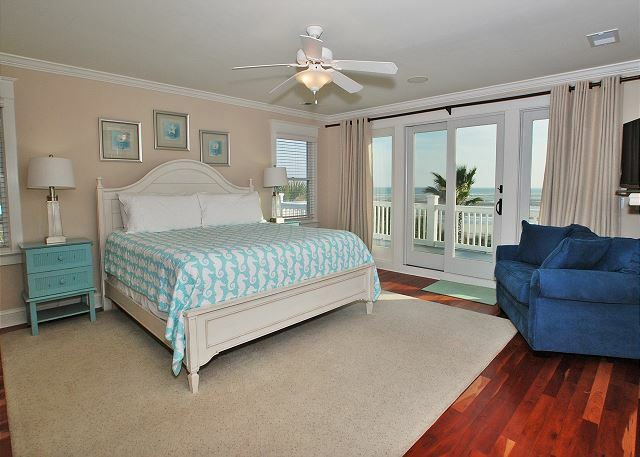 There are 3 ocean view bedrooms on this floor including two master suites. 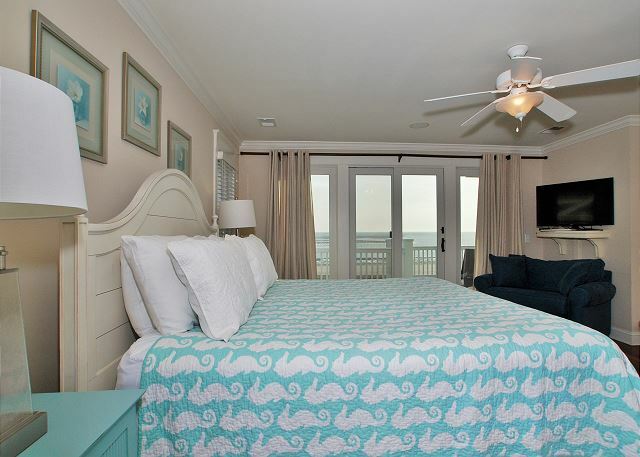 Both feature king beds, spectacular ocean views, large flat panel TV's, wood floors, private access to the second floor ocean facing porch with new seating group and private bathrooms with corner Jacuzzi jetted tubs and large, tiled walk-in showers! 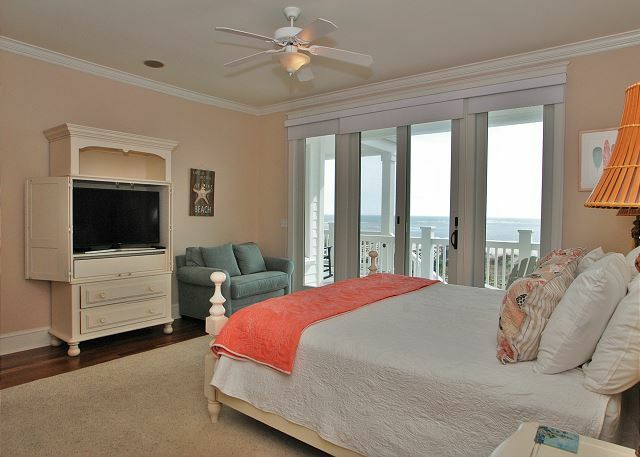 The third ocean view bedroom has a king bed, TV, more of the ocean views you come to expect in this house, private access to the second floor ocean facing porch and private bathroom with a jetted tub/shower combo. 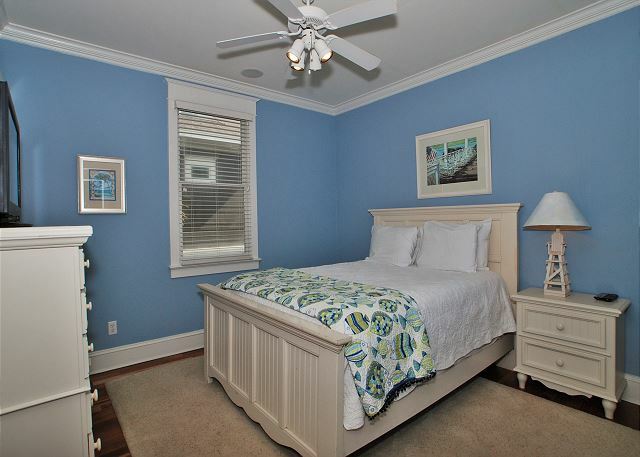 Rounding out the bedrooms is a guest bedroom with a king bed, double sleeper, wood floors, access to a private balcony and a private bathroom with a tub/shower combo. 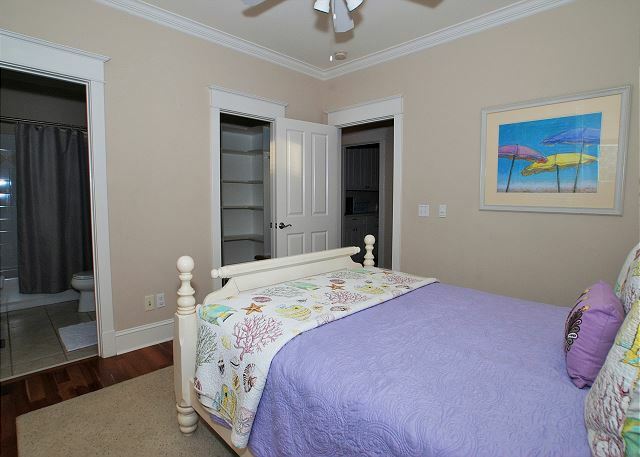 For your convenience there is a laundry closet with full size washer and dryer to service this floor. Enjoy the ease of outdoor entertaining at poolside with the addition of 2 dining tables as well as multiple loungers and chairs! 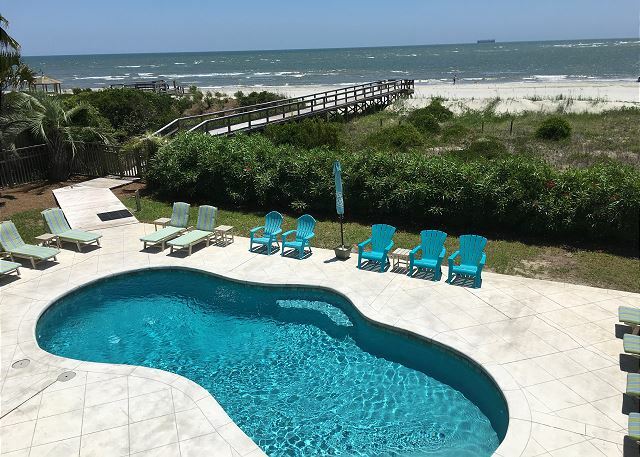 A gas grill, ping pong table, multiple outdoor showers and elevator are some of the other features of this home that is fully equipped for a luxurious beach vacation. We had a great with a big group of friends at this beautiful house. Wouldnt have changed a thing about the home and all that it had to offer. The team from East Islands was easy to work with and made a last minute change in our plans work without any issues. This is the second year we rented this house and there were noticeable improvements with new paint, light fixtures and outside furniture. We are already booking it again for 2020. 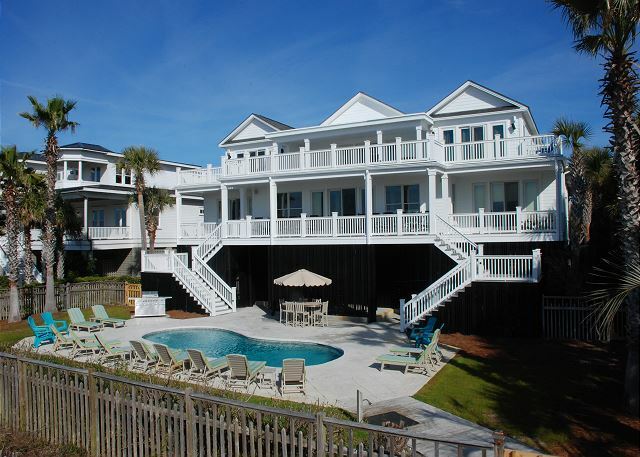 We rented 110 Ocean for my family to celebrate our wedding and March birthdays. 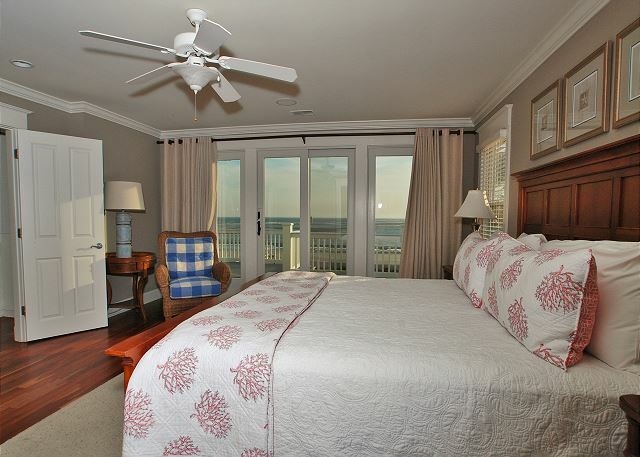 The 10 bedrooms was perfect and everyone loved having their own bathroom. The property is amazing! It was just as described and more. 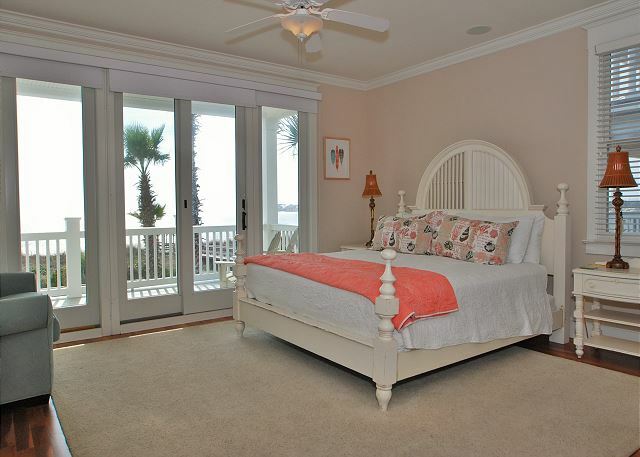 The decor was beachy and relaxing. The kitchen was perfectly stocked. We even hired a personal chef and staff one evening and they had no problem cooking in this beautiful kitchen. 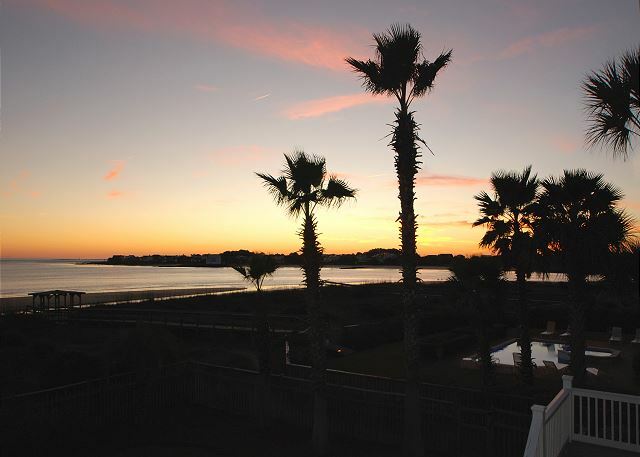 The view will take your breath away! 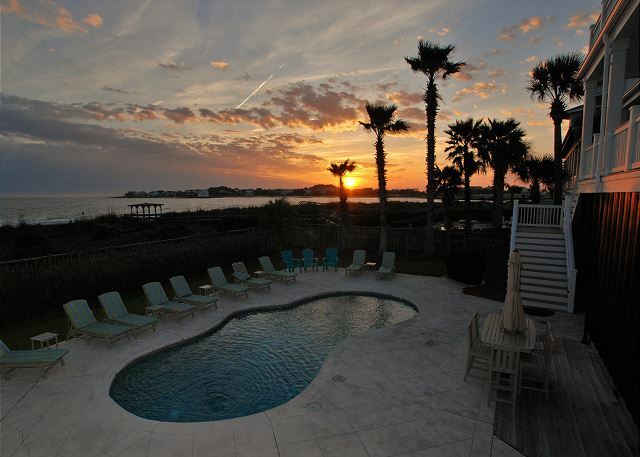 We loved being right on the beach and even had the pool heated for our cool March temps. The elevator was a godsend getting luggage up and down with ease. Everyone said their beds were comfortable and they had an amazing time. 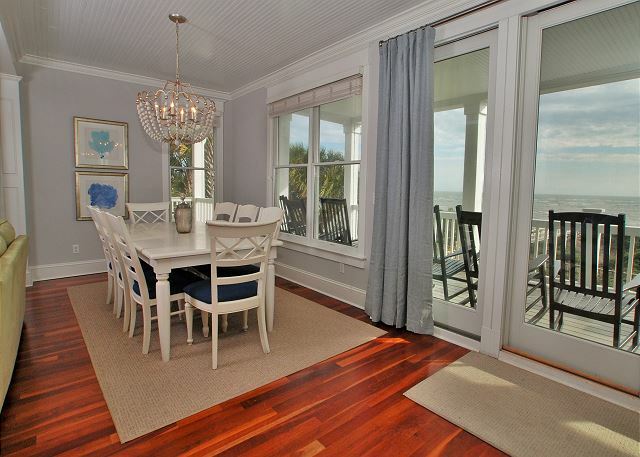 It is one of the most stunning homes we have rented and will be back for certain. We are pleased with the improvements to the kitchen area's new appliances and new BBQ grill. very impressive. Only disappointments are the pool's lost tiles and the deteriorating railings overlooking the ocean. We hope they are replaced for our 2019 Thanksgiving visit. A perfect wonderful outstanding gathering. Our 20th year of hosting our family members. Beautiful home. Last stayed there in 2014 and the improvements are everywhere. Great stay! Bennie Gals and their Guys! 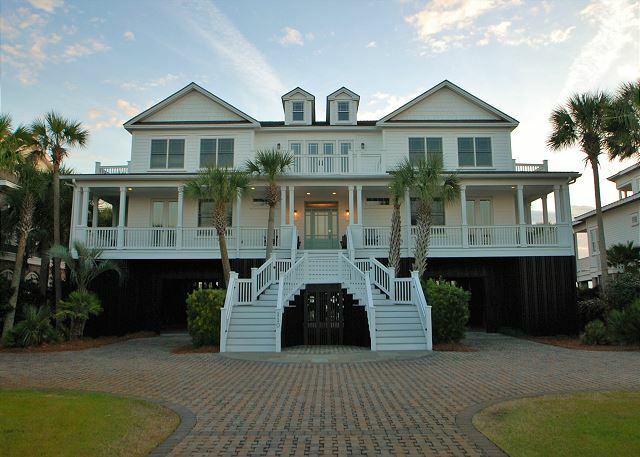 The beach house at 110 Ocean Blvd. was perfect for our group of 10 couples. The additional den/entertainment space provided a 'conference space' for several who had conference calls or other work related activities. 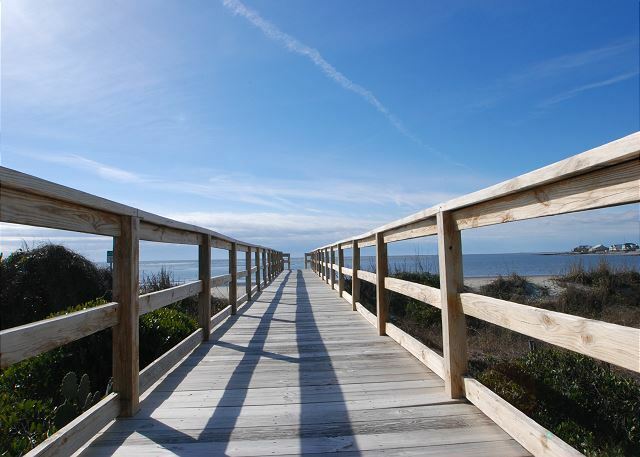 The access to the beach is/was fabulous and I believe everyone walked the beach almost daily. The house is beautiful and was able to accommodate our group cooking many meals and having morning coffee on the main balcony. 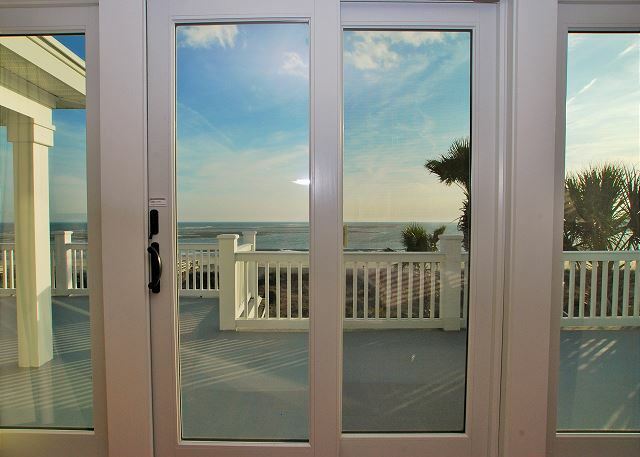 The view of the ocean from the main floor and upper level is amazing. I would highly recommend this property for a large group or family. 9 girls (IN OUR SENIOR YEARS😁) had a fabulous time again on our 4th visit to this house we LOVE!!! PERFECT for our group which floats between 9 AND 13 friends EACH Spring. Dottie C.
Excellent property! Size size for our large party. 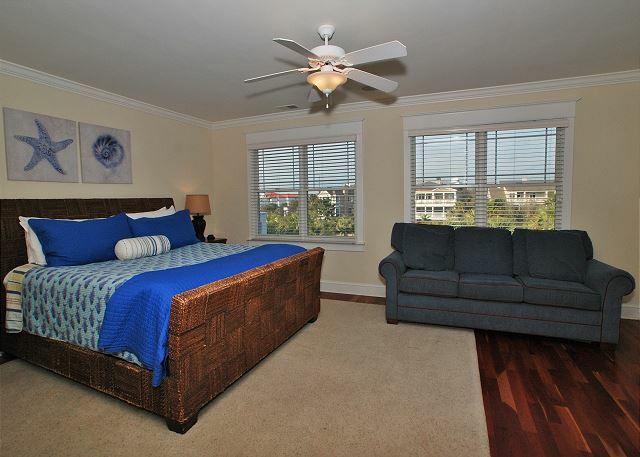 Great location right on the beach...easy to get into downtown. House was clean and maintained. Owner and property manager very responsive. Would stay here again!! 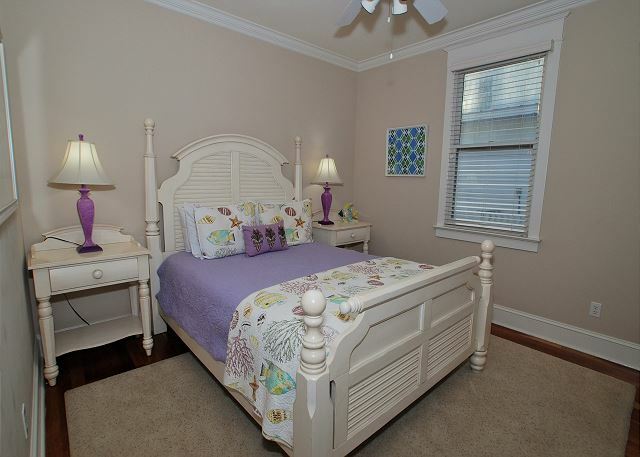 Well decorated unit, plush beds. New furniture in living room and dining area is very nice. Activity areas are conducive to fun times. Only serious complaint - the OLD BOSCH DISHWASHER IS A DISASTER. IT NEEDS TO BE REPLACED. Second minor complaint - shower head in walk in shower of master suite needs to be replaced. Poor flow for a refreshing shower.